Dr. Staninger, author of the international environmental bestseller the Comprehensive Handbook of Hazardous Material: Regulations, Monitoring, Handling & Safety, Lewis Publishing/ CRC Press, is among the leading international scientists in the field of industrial toxicology. Known affectionately as "Dr. Hildy," she is an expert in reproductive toxicology and uses ancient healing principles for today's modern, toxic world. She pioneered the use of biological monitoring tests for targeting organ exposure to parent compounds, metabolites and their xenobiotics. Her research has opened the door of protenomics, enzynomics and genomics as recognized by Johns Hopkins University, Pandey Lab and Harvard University Medical College's small molecule genome project. Dr. Staninger is a former president of the Florida Chapter of the American Industrial Hygiene Association and is a former President and founder of the International Academy of Toxicological Risk Assessment (IATRA), which celebrated its 25th Anniversary in 2005. Additionally, she was the first Industrial Environmental Toxicologist Registered by the National Registry of Environmental Professionals (https://www.nrep.org/) and is a Certified Safety Executive by World Safety Organization and Inspector General for the International Environmental Intelligence Agency (IEIA), a division of World Life Research Institute. She received the prestigious 7th U.S. Army and Greater Stuttgart Community Award for her work during Operation Desert Shield in preventing increased chronic obstructive pulmonary disease (COPD) from the Kuwaiti burning oil fields during Desert Storm. Dr. Staninger is recipient of two Presidential Awards from Mr. Walter Lowry, Martin Marietta Orlando Aerospace President, for her work involving "Pregnant Women in the Workplace" and the "Increased Risk of Genetic Mutations in Contaminated Ground Water." Her knowledge base and compassion are ever more necessary as cleanup work takes place in the Gulf from the oil spill and in an ever increasing polluted world. To describe Dr. Eugene Lipov, people often use the following three words: Innovator, Leader, Philanthropist. As medical director of Advanced Pain Centers in suburban Chicago, director of pain research at Northwest Community Hospital and medical director of Chicago Medical Innovations, a non-profit he founded, Lipov brings these terms to life every day, steering cutting-edge research to develop new approaches for conditions such as post-traumatic stress disorder (PTSD), menopausal hot flashes and more. In addition, he has become a spokesperson on his use of the Stellate Ganglion Block (SGB) to treat these conditions, being featured in medical journals, military publications, newspapers and television programs throughout the U.S.
Dr. Lipov was born into a family of physicians as his parents were among the first group of doctors to take care of the Russian émigrés in the 1970s and ‘80s in Chicago. Born in 1958 in Tcheracy, Ukraine, Lipov came to the U.S. in 1973. After receiving a B.A. in biochemistry from Northwestern University in 1980 and his M.D. from Northwestern University in 1984, he completed fellowships in anesthesiology, pain management and cardiology at Rush Presbyterian St. Luke’s Medical Center in Chicago. He opened his private practice in 1996. A sought after spokesperson on the subjects of pain management, anesthesia, hot flashes, hybrid stimulators and now PTSD, Dr. Lipov has led approximately 50 lectures around the world. In addition to his current book Exit Strategy, a discussion of the diagnosis and treatment of PTSD, he has authored The Adventures of Captain Heart (co-authored with his then 4-year-old son, now nine) which explains how 3-7 year-olds can maintain a healthy heart) and Menopause -- A Cool New You (which discusses hot flashes and his method for treating them). 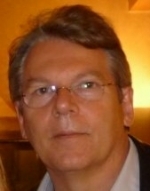 Dr. Lipov is also the co-author of more than 50 abstracts and presentations. In addition, he testified in 2010 before the House Committee on Veterans’ Affairs to receive funding for his scientific study of SBG for PTSD. In 2008, Dr. Lipov founded his non-profit organization, Chicago Medical Innovations, to further develop and research various pain mechanisms and new applications for the treatment of PTSD and hot flashes. He has personally raised more than $100,000 to help fund the research and used his own money to fly suffering soldiers throughout the U.S. to his office in Chicago for free SGB injections. The organization is presently raising money to assist women who have suffered trauma through a sexual assault and are now diagnosed with PTSD. Many of his patients, both men and women, have long suffered with the disorder, on the brink of suicide and other life disasters. They have claimed this experimental treatment to have saved their lives. 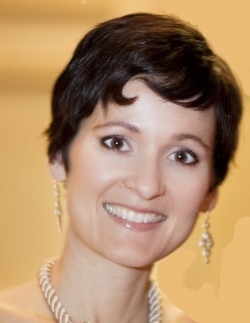 Dr. Lipov is an active member of the American Society of Anesthesiology, American Academy of Pain Medicine, American Society of Regional Anesthesia, International Spinal Injection Society, International Association for the Study of Pain, American Society of Interventional Pain Physicians and the North American Spine Society. Dr Phillip Cheras received his PhD from the University of Queensland in Australia in 1993 and has been an Adjunct Associate Professor with NatMed Research at Southern Cross University in Australia since 2007. He has received international attention for his doctoral research which lead him to propose a new paradigm for the causation of osteoarthritis. He has published his "Vascular Concept of Osteoarthritis Causation" and presented it at numerous international conferences and symposia. In 2001 he was a core member of the team that established the Australian Centre for Complementary Medical Education and Research (ACCMER), a joint venture of the University of Queensland and Southern Cross University, and became the foundation Deputy Director. Mark D. Brown is Professor and Chairman Emeritus of the Department of Orthopaedics and Rehabilitation, University of Miami Miller School of Medicine. He has been a practicing spine surgeon for 35+ years, with his Ph.D. thesis and all of his research being devoted to the cause, prevention, and cure of painful spinal disorders. 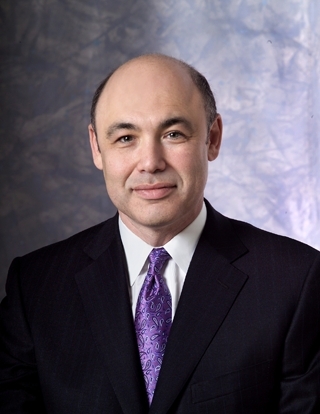 He is a founding member of the International Society for the Study of Lumbar Spine, and his other memberships include the American Academy of Orthopaedic Surgery, American Orthopaedic Association, Association of Bone and Joint Surgeons, the Cervical Spine Research Society, Medical Advisory Board of PinnacleCare, and the North American Spine Society. 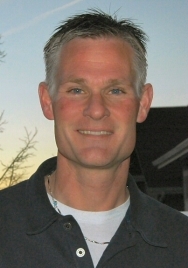 He serves as a Consultant Reviewer for the Journal of Bone and Joint Surgery, on the Board of Associate Editors of Clincal Orthopaedics and Related Research, the Associate Editorial Board of Spine, and the Editorial Board of Journal of Spinal Disorders & Techniques. Join #1 New York Times best-selling author Debbie Ford in one of the most important conversations you will ever have to expose the pervasive and often hidden impulses that influence your everyday decisions. As seen in The Shadow Effect movie, learn how to unlock the mystery of your dark side, begin to understand what robs you of your self-respect, courage, creativity, and dreams, and gain access tools to break free from the prison of fear, shame, regret, and self-sabotaging behaviors. Inspired by famed psychiatrist Carl Jung, Debbie Ford is an internationally recognized expert in the field of personal transformation. 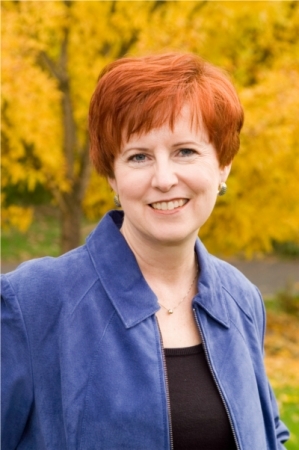 Creator of the Shadow Process Workshop and founder of The Ford Institute for Integrative Coaching, Debbie is a pioneering force in incorporating the study and integration of the shadow into modern psychological and spiritual practices. Featured ABC's Ex-Wives Club, Debbie has also appeared on Oprah, Good Morning America, Larry King Live, The Big Idea with Donny Deutsch, and Fox & Friends. Debbie's seven groundbreaking books, including The Dark Side of the Light Chasers, Spiritual Divorce, Why Good People Do Bad Things, and just release The 21-Day Consciousness Cleanse have sold over 1 million copies, are translated into 32 languages, and are used in institutions of learning worldwide. Much of Dan's time is devoted to writing and speaking. His keynotes, seminars, and workshops span the generations to influence men and women from all walks of life, including leaders in the fields of health, psychology, education, business, politics, sports, entertainment, and the arts. 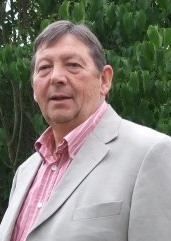 Author and engineer, Kevin Gest of England has been a student of the Knights Templar and the ancient mysteries since childhood. His acclaimed book, The Secrets of Solomon’s Temple, has been called the definitive textbook on the subject. Maureen Moss is a globally acclaimed four time author, national speaker, Powerful Living coach, and the Owner and Executive Producer of The World Puja Network now in its 10th year of global broadcasting and changing lives in more than 139 countries. Her highly acclaimed books "Commitment To Love: Transforming Human Nature Into Divine Nature", "The Nature of Bliss: Balance, Love, Integrity, Sexuality, Soul", and "God's Promise" have opened hearts and minds from South Africa to South Carolina. Maureen's five life-changing, powerful CD's: "Transformation", "Cosmic Wisdom", "How A Powerful Woman Awakens", "The Hierarchy Takes You To The Heavens" and "The Five Contemplations of Bliss" have also garnered world-wide acclaim. Maureen has also been included in John St. Augustine's latest book: "Living An Uncommon Life. Esssential Lessons from 21 Extraordinary People" along with such notables as Oprah Winfrey, John Denver, Dorothy Hamill, Wayne Dyer and more released by Hampton Roads, fall 2006. Maureen has devoted the past twenty-five years to bringing awareness to the 'blueprint' necessary to manifest, create, activate and keep in tact sacred relationships both personally and globally. Philanthropically she is devoted to empowering families in crisis and homeless children. 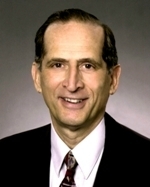 Barnet Meltzer, M.D., is a pioneer and well-known expert in the field of Preventive Medicine, Integrative Medicine, and Clinical Nutrition. Dr. Meltzer owns the distinction of being the first medical doctor to enter the field of Preventive Medicine in Southern California, and is a board certified physician and surgeon with over 30 years of clinical experience as a practicing primary care physician. As the founder and Director of the Meltzer Wellness Institute (MWI), Dr. Meltzer is a leading authority in health, wellness, and metabolic nutrition. He has a well-deserved reputation as Southern California's #1 Wellness, Weight Loss, and Energy Coach. Dr. Meltzer's credentials include graduating Phi Beta Kappa from the University of Pennsylvania School of Medicine (the first Ivy League medical school). Upon graduating from medical school,Barnet Meltzer, M.D. Dr. Meltzer completed his internship at UCLA and served two years of surgical residency at the University of California Medical Center in San Diego (UCSD). Since opening his medical clinic in 1972, Dr. Meltzer has developed an international following with people from all over the world seeking his consultation. His signature wellness programs go beyond the integration of Eastern and Western medicine, and draw on the most effective dimensions of health, wellness, and healing techniques from around the world—including Europe, South America, India, China, and the United States. These programs are designed to empower his patients with tools and strategies to promote a lifetime of wellness, vitality, happiness, and preventing disease. By incorporating the healing arts of the North, South, and East with scientific principles of modern Western medicine, Dr. Meltzer offers a dynamic blend that gives him an unparalleled edge in nutrition and health. This, coupled with extensive clinical experience—overseeing more than 60,000 patients in his career—has put Dr. Meltzer at the forefront of Preventive and Integrative Medicine. Dr. Meltzer expanded on his eclectic approach to health and wellness when he was granted a scientific visa from the Colombian government in 1975. During this fact-finding expedition, he was able to study the lifestyle and living habits of remote villages in the Andes. It was here that he refined his expertise and philosophy on healthy lifestyles and preventing disease. Upon returning to California, Dr. Meltzer created a step-by-step nutritional detoxification program, which to this day remains a cornerstone to his wellness programs. As the 21st century begins, we are all looking for effective alternatives to costly health care and the overwhelming physical concerns that face our aging nation. Dr. Meltzer believes "the least costly illness is the one that never occurs." 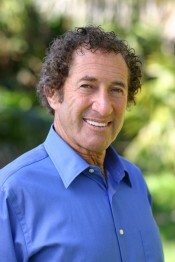 As a leader and expert in field of Preventive & Integrative Medicine, he has created a variety of pioneering wellness programs that promote permanent weight loss, optimal health, anti-aging, and increased energy and vitality—keeping Dr. Meltzer at the leading edge of innovation in the field of health and wellness. Scott Stevens is an award winning television weatherman who, a decade ago, began investigating the claims of Lt. Col Tom Bearden that North America was being subjected to full time weather modification. During the course of that personal investigation he was the first to discover the primary reason for the now global chemtrail phenomena. During Scott’s two decade television career he worked in Topeka Kansas, Omaha Nebraska, Tulsa Oklahoma, Albany New York and Pocatello Idaho. He is also a principle with Blue Water Alchemy in the global project to bring about a shift of the human consciousness in concert with events surrounding 2012. Lynda Cookson from the west of Ireland ran her own clinic for 5 years prior to being forced to change careers in 1992 to that of an artist and writer because of severe back pain. 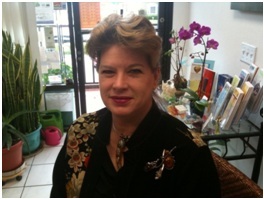 Lynda is a certified reflexologist, a namikoshi shiatsu therapist, an aromatherapist, and studied iridology, ayurvedic healing and acupuncture. Since changing her career she has become an accomplished artist and writer having sold works in the United Kingdom, Ireland, South Africa, Namibia, the United States, Canada, France, Spain, Dominican Republic and Malaysia. Her paintings are part of permanent collections, have been auctioned, and collected throughout Ireland. Her most recent publication is a book titled Tea’n Turps published in 2009 that takes a humorous look at the lives of 12 well-established artists living and working in Ireland. My home is in the depths of Connemara where the sun sets on the mountains behind me and I gaze out, over bogland hills, to the soft evening light catching the mountainsides across the valley. There are only about 300 folk living in the valley. Two Connemara ponies munch away in the field opposite our house, and they're often joined by a couple of rather bold and raucous donkeys. I'm not necessarily a landscape painter, but the tranquility and beauty of my studio surroundings gives me the creative space and inspiration to paint. My philosophy simply put, is that I concentrate on capturing the living energy of my subject, working on creating a sense of freedom within constraint. I am conscious of the masks of protection and the layers of learning that people develop and build up through their lives, learning how to disguise their true selves and how to live comfortably with their masks and layers. Scratch the surface, delve deeper into ourselves, and we find we all have so much more inside of us than the world sees. Creatively, nothing excites me more than to look closely at a painting and be able to identify the layers of colour which have been laid down to build up the final picture. So whether I am working on an abstract, or a contemporary horse painting, even a flower arrangement, the painting is built up with layers of mostly pure colour, sometimes mixing on the canvas and other times sitting next to each other to create a vibrancy in their pairing. Colour, a sense of energy, and vibrancy are all very important to me. Ginger Garner MPT, ATC - is an educator in medical therapeutic yoga and a physical therapist in integrative rehabilitation. 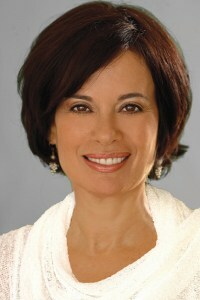 Her fields of focus include orthopaedics, chronic pain, and women’s health. Ginger is an activist for improving health care in America and reaches her audience through her popular columns, Breathing In This Life, Fit and Fearless Birth on Modern Mom, Yang-Sheng Magazine, Caring Economy, and her publications in medical therapeutic yoga. Ginger has written more than 30 programs and a 4 volume text standardizing the use of yoga in integrative medicine and rehabilitation through her program Professional Yoga Therapy. Her undergraduate to post-graduate & medical continuing education programs were a first in healthcare when she founded the program in 2001. Her most recent project is developing the first US based distance education program in medical therapeutic yoga (2010-2012) now offered in partnership with the National Athletic Trainers’ Association and other national organizations. Ginger credits her work in multiple settings, such as outpatient orthopaedics, women’s health, inpatient, wound care, neuromuscular, cardiopulmonary, obstetric therapies, home health, as well as her studies and performance in music and sound, with developing her methodology in using yoga as medicine. During her graduate studies in physical therapy and public health at The University of North Carolina at Chapel Hill, almost 20 years ago, Ginger developed her original mission for the first education program in medical yoga, out of what she perceived as a great disconnect in American health care. Professional Yoga Therapy (PYT) was born out of the vision to see eastern and western medicine yoked to offer more comprehensive health care for both the healthy and complex American patient. Today, PYT offers a working model for educational standards in medical yoga education and integrative health care delivery in the US. Ginger has trained hundreds of medical professionals across North America over the last decade in using yoga and Pilates in Complementary and Alternative Medicine; while at the same time working to raise awareness and funds for improving women’s health. As a result, graduates from the PYT program have created or taken jobs as integrative rehabilitation supervisors in hospital systems, clinics, and non-traditional settings in nursing, medicine, as well as therapy. Dr. Richard Vincent, a graduate of the Chiropractic Institute of New York, is a seasoned veteran in the ongoing social, political and economic evolution of the chiropractic profession. 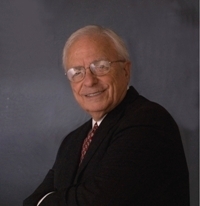 Along with an impressive history of clinical practice, Dr. Vincent has served as president of the Massachusetts Chiropractic Society, chairman of the Massachusetts Board of Chiropractic Examination and Registration, president of the Federation of Chiropractic Licensing Boards and president of the National Board of Chiropractic Examiners. Long active in his state and community, Dr. Vincent has served as chairman of the Board of Trustees of the North Shore Community College and Board of Directors of the Beverly Savings Bank. He is currently Vice-Chairman of the Governor’s Committee on Mental Retardation for the Commonwealth of Massachusetts. He is president of Vincent Management, a practice consulting company, past president of The Practice Resource Group, a chiropractic management organization, and past president of the Society of Chiropractic Management Consultants. Dr. Vincent has served as president and CEO of Spine Managed Care Network (SMCN) and as the clinical director of chiropractic services for TRIAD Healthcare, Inc.
A frequent lecturer at chiropractic colleges, state and national associations, Dr. Vincent is well published. 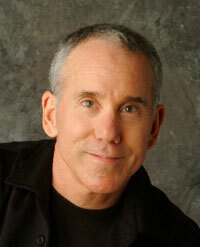 His articles deal with practice management and the ethical delivery of chiropractic care. Robert R. Hieronimus, Ph.D. has been an acknowledged pioneer in the "New Paradigm" movement for over 40 years. After traveling with numerous rock and roll bands in the 1960s to share information about esoterica and design posters and album covers, Bob began a long career as a muralist and painter. His highly acclaimed occult and symbolic artcars and murals include the 2,700 square foot prophetic "Apocalypse" at the Johns Hopkins University, which led to Dr. Bob being called "one of this country's best muralists" (Forecast Magazine). 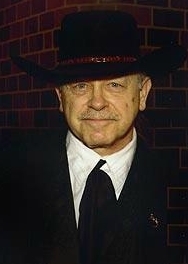 Art historian and critic Alan Barnet noted, "Hieronimus has a talent for winning the cooperation of the establishment while he lives and works in the counter-culture." Dr. Bob’s most famous Artcar, the Volkswagen bus “Light” (better known as “the Woodstock bus”), was photographed by the Associated Press and Rolling Stone at the original 1969 Woodstock, and is still seen today regularly reprinted in media all over the world. A diecast model of Hieronimus’s painted Woodstock bus will be produced by Sunstar Diecast in 2009 in recognition of Woodstock’s 40th anniversary. In 1969 Bob founded AUM, the first state approved school of esoteric studies in the country which granted certificates in the occult sciences, mystic arts and religious metaphysics. PBS documented his leadership and contributions in 1971 with the feature, "The Artist of Savitria" produced by Maryland Public Television and seen nationwide. Dr. Bob received his Ph.D. from Saybrook Graduate School in 1981 for the doctoral thesis, An Historic Analysis of the Reverse of the American Great Seal and Its Relationship to the Ideology of Humanistic Psychology. His research on the Great Seal has been used in the speeches, literature, and libraries of the White House (1976, 1982), the State Department (1978), and the Department of Interior (1982). His Independence Hall speech on the Great Seal's bicentennial was published in the Congressional Record (1983, 1984), and his research was shared in a personal meeting with the late Egyptian President Anwar El-Sadat. Together with his wife, Zohara, Dr. Bob lobbied the House and Senate on the Great Seal Act (1982-1986). Inner Traditions published a popular version of Dr. Bob's doctoral thesis in 1989, entitled America's Secret Destiny: Spiritual Vision and the Founding of a Nation (which is now available exclusively from the Hieronimus & Co. Gift Shop). This book was revised and expanded in 2006 under the title Founding Fathers, Secret Societies: Freemasons, Illuminati, Rosicrucians and the Decoding of the Great Seal. As a result of this book, Dr. Bob was featured on documentaries on the National Geographic, Discovery and History Channels. “Secrets of the Dollar Bill” has been repeated dozens of times on the History Channel. Founding Fathers, Secret Societies has been translated into German, French, Russian, and Spanish. Dr. Bob has been a frequent guest on radio and television talk shows across the country since 1967 sharing his research in metaphysical symbolism, the founding fathers, America's Great Seal, UFOs and the paranormal, and even synchronistic methods for picking winning lottery numbers. Dr. Bob's examination of numerology systems from dozens of cultures also resulted in two best sellers: How to Pick Your Personal Winning Lottery Numbers (1985, Crown), and Your Personal Winning Lottery Numbers (1986, Warner). In 1990 Dr. Bob and Zoh incorporated Hieronimus & Co., Inc. to serve as a media research service, providing story and guest ideas and materials to television, newspapers and radio worldwide. Their work has been featured on ABC World News Tonight, ABC Radio, ABCNews.com, CNN, C-SPAN, PBS, The Larry King Show, Strange Universe, and in dozens of leading publications like The Wall Street Journal, The Washington Post, The New York Times Magazine, The Chicago Tribune, The Boston Globe, The San Francisco Chronicle, The Dallas Morning News, The Denver Post, The New York Post, and The Baltimore Sun. Over the past 20 years, Rev. Christine has studied with inspiring and powerful women, each of them a role–model, each of them encouraging her to move forward on her spiritual journey. It was through these motivational women that she received the tools to move past her barriers and connect with her divine power. Rev. Christine is the founding minister of Sacred Heart Ministries. It is a teaching ministry and emerged from a vision to support others, especially women, incorporate spiritual principles into their professional and personal lives. Her vision is to guide women in revealing their authenticity, embrace their uniqueness and love themselves. Rev. Christine has served in leadership roles at a number of ministries both in California and Oregon. She has had the opportunity to teach, facilitate and counsel others for over 20 years both nationally and abroad. Rev. Christine was ordained in 2001 and was also married to her husband Laurence that same year. She is the author of Anatomy of Caring - Insights on faith from a caregiver and a patient. It is a journal for caregivers and came as a result of caring for her husband Laurence during his fight with leukemia and losing him after his bone marrow transplant. Her new book Authentic Spirituality was released March, 2012. Angelika Sareighn Whitecliff is a multi-disciplinary researcher involved in the study of consciousness, multidimensional communications and humanity's extraterrestrial origin. A telepathic communicator with angelic, extraterrestrial, astral and other multi-dimensional entities, Angelika Whitecliff is a natural clairvoyant and has conducted private consultations for well over a decade. 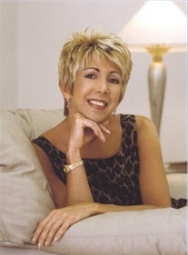 She has professionally taught classes and seminars in developing clairvoyance, the energetic healing arts, retrieving past/future life memories and communicating with spiritual guides, angels and extraterrestrial visitors. Angelika began having physical contact experiences with angelic and nature beings in childhood, and then with extraterrestrial biological entities beginning in her early twenties. Interactions at all levels continue to this day, and all these experiences have assisted Angelika in acquiring a very strong vision of hope and confidence in humanities inevitable spiritual awakening. She has also been inspired as a painter, graphic artist and sculptor depicting some of these different entities. Spending several years as a public channel for the archangels, delivering messages and healings, Angelika now focuses upon educating people about their own spiritual power and about the myriad of multidimensional beings waiting to interact with us in loving, benevolent ways. Her life¹s work so far has led her to become a highly effective interpreter and communicator for various multidimensional beings and races. 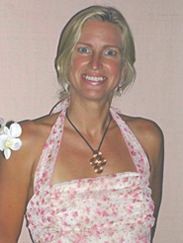 In the past five years, Angelika has been called by the cetaceans of Hawaii and the humpback whales of the Caribbean to actively swim and forge a relationship of interspecies communication, DNA activation and mutually beneficial interactions regarding Gaia¹s and humanities shifting galactic consciousness. Currently living on the Big Island of Hawaii and swimming daily with the dolphins of the Kona coast, she has found the dolphins to be effective teachers regarding our stewardship of the planet and emissaries to other extraterrestrial civilizations. Especially those races interested in assisting the advancement of human consciousness and our responsibilities as we take our place as a member of the vast galactic community. Angelika is a Director of the Exopolitics Institute and was Co-Organizer of the Earth Transformation Series of Conferences from 2006-2010. She is also Co-Founder of Galactic Diplomacy, and Co-ordinator of the Citizen Diplomacy program of the Exopolitics Institute. Jean Hudon - He was born in Quebec City on the 19th of June 1952, and lived there up to 1979. After completing his education, he became a self-taught musician, playing electric bass in many bands, as well as composing songs and lyrics in a progressive rock band called Maelstrom which recorded an album and played at major venues. In 1979, after a 10 year musical career interspersed with various jobs, he moved to a rural community in the Saguenay area where he built a comfortable three-storied house, and learned organic gardening. He also took part in the creation of an intentional community called Les Plateaux Commun'o'Terre on their 540 acres communally-owned land, home today (2010) to 29 adults and 11 children living in 17 individually-owned homes. In 1981, he became a social activist when he joined a local environmental group which organized the first demonstration in Quebec against the scourge of acid rains. In 1982, he set up the Quebec branch of a program called Planetary Initiative for the World We Choose. More than 50 Exploration Groups were formed all across Quebec to study documents on various problems facing humanity, and discuss ideas to solve them. With 20 delegates from Quebec, he participated to a Planetary Congress in Toronto which resulted in a final document later presented to the U.N.
At the end of 1983, in view of the growing threat of a nuclear holocaust, he launched a global initiative to help increase public awareness and commitment to defuse the crisis. Called Peace Bomb, this 5 minute globally synchronized moment of prayer/meditation was widely publicized and observed in numerous countries on the 21st of December 1983. A weekly meditation called Love Chain was then launched to help sustain the momentum for peace and kept going over many years. In 1985, he was invited to the founding meeting of a group called the World Federation for Peace whose motto was The Earth is my Home and Humanity my Family. His contribution was to design and publish in French and English a Guiding Manual for a New World presenting various perspectives on the emerging new paradigm as a way to foster a transformation process within participating individuals. In 1986, he was inspired to write a book called The Immortal Child whose purpose was to present to a vast audience the concept of our planet as one single global entity, also known as the Gaia Hypothesis. This book published in English, French, Japanese and Portuguese led to 2 years of intense work to promote the idea of an Earth Concert which finally took place on December 31st, 1989 through 20 concerts held in 15 different countries. Hundreds of people were directly involved in organizing these events and a major heightening of awareness ensued as to the plight of our endangered planet. In 1990, he planted 40,000 tree seedlings during a 6 week period in summer. He then made the transition towards becoming a professional translator on a full time basis and has so far translated over 30 books. In addition, he regularly wrote and mailed out around the world various documents outlining his visions as a way to foster change and action on key issues of peace, environment and global governance. In 1993, he joined the Green Party of Quebec as an elected member of the National Executive Committee. After 2 years of efforts to promote ideas of sustainability, decentralization, participatory democracy and social justice, he jumped on the Parti Québécois bandwagon, 6 months before the provincial election, with the hope of increasing the exposure of its leaders and members to the ideas mentioned above. Following this, he was hired to write the green platform of the Parti Québécois and produce a video on sustainable development featuring Mr Jacques Parizeau, former prime minister of Quebec. On November 29, 1996, he decided to re-activate the Earth Concert worldwide network in order to create an unifying global event to mark the beginning of the new millenium. 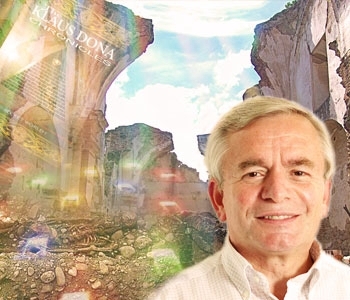 He has co-founded the Earth Rainbow Network in February 1997 for that purpose. Over time, this network evolved and his focus shifted towards sharing information, visions and feedbacks on a broad range of subjects as a way to expand and deepen global awareness and the sense of forming a global spiritual community gradually empowering itself to contribute in shaping the future of this world. 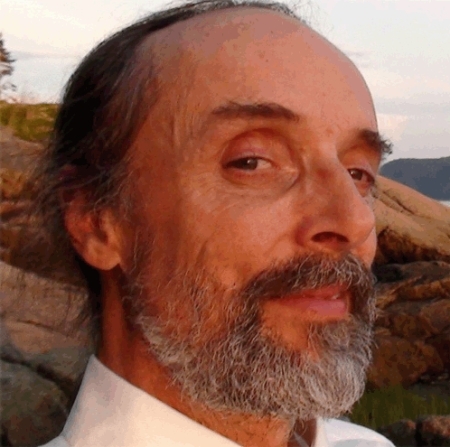 He has since networked over 50,000 pages (US letter format) of material (all archived on this site) to a thriving global community of over 3200 English subscribers in more than 50 countries. He has also co-created the Global Meditation Focus Group in April 2000 to regularly issue Meditation Focuses designed to focalize the attention and healing energies of a growing number of meditators around the world onto situations and crises in need of peaceful resolution and spiritual assistance. It has also become in the past few years a means through which thousands of people around the world are regularly joining in meditation to foster humanity's spiritual awakening and increase their own sense of Oneness with All That Is. You may also review HERE what others wrote about his work, as well as some of the 550 entries posted over the years in this guestbook. Klaus Dona has been the Art Exhibition Curator for over 30 cultural exhibitions in Austria, Japan and Korea, like "The Glory of the House of Habsburg", "Rubens and his time", etc. Being a specialist in culture and art exhibitions, his attention was automatically drawn to a phenomenon called 'Ooparts' - out of place artifacts. These are artifacts that should not exist according to current science. Klaus Dona has been researching these types of artifacts for over a decade and, after a long preparation, decided to set up an exhibition of 470 of these (Ooparts) pieces, which he called ''Unsolved Mysteries''. Klaus will speak about many of his strangest Ooparts, as well as the bones of ancient giants that have been presented to him, and the recent discovery of the remains of a 20 foot tall giant in Bolivia he has been asked to examine. As the granddaughter of illustrious author Ernest Hemingway, Mariel appeared predestined to be well known and publicly recognized. However, at the tender age of 13, Mariel became famous in her own right when she made her silver screen debut in "Lipstick." Four years later, her work in Woody Allen's "Manhattan" earned her an Oscar nomination. She has since made 30 films as well as numerous television appearances in series and as a host of environmental and humanitarian documentaries. Now 47, Mariel is the mother of two daughters: Dree, 22 and Langley, 20. She is also the fond caretaker of anywhere from two to six delightful dogs at a time. For over 20 years, Mariel has been pursuing her passion for yoga and health and is now seen as a voice of holistic and balanced health and well-being. As part of that role she has lead wellness retreats all over America, sharing her insights about movement, home, silence, and nutrition. In 2003, Mariel published her powerful bestselling memoir, Finding My Balance, the insightful and inspiring story of her life's journey as viewed through a lens honed by yoga and meditation. Her highly successful second book, Mariel Hemingway's Healthy Living from the Inside Out (Harper Collins, San Francisco, 2007), is a how-to guide for finding and enhancing personal balance and health through the utilization of self-empowering lifestyle techniques. The book is a valuable boon for those who incorporate Mariel's sage and thoughtful advice. Most recently, Mariel published her third book, Mariel's Kitchen: Simple Ingredients for a Delicious and Satisfying Life, in which she offers you ways to easily and deliciously turn your kitchen into the heart of your home. Her latest exciting project is Mariel's Kitchen… a company that will produce real food products with a real life message! Mariel believes that caring for the health of the body, mind and spirit is the first step in becoming conscious of the health and well-being of the environment that surrounds us. Eating real food, grown organically and locally, may help us get more in touch with who we are and how we interact with our communities. Begin educating yourself about Mariel's message and her mission in the pages of this site and begin to build a bridge between how you care for yourself and your world. Shelley Yates lives in Nova Scotia, Canada, and has not only died and come back, but had the wonderful good fortune to come back with a message of hope and love for our earth and its inhabitants. Shelley first learned how to apply her new knowledge from beyond to bring her son back from death in an unprecedented display, using the power of faith, love and the manipulation of personal human energy. Her son returned whole and happy. She was told "what you did for a dying boy with a small group of people you can do for a dying planet with a large group." 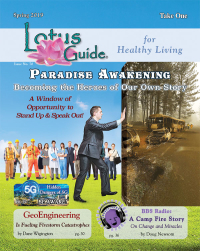 She shares her story of miracles and her knowledge of human energy potential with all that are willing to listen. Her final outcome has been the creation of a world project in which all of humanity can contribute to change the earth we live on, creating prosperity, peace and healing for all that desire it. Shelley Yates and her son, Evan, were drowned in 2002 when their car hydroplaned off the road, overturned, and sank to the bottom of a flooded marsh in Nova Scotia. Shelley was trapped in the car. A voice told her not to struggle or she would not be able to be revived when she would be rescued. She had never heard such a voice before this. She did not believe in God. She says of herself, "I was a 'diehard atheist'." Yet, she did not struggle, and she drowned. It was 15 minutes before she was rescued. After she was revived, she alerted the EMT's to find her son, who was age 4 at the time. Close to 30 minutes passed before he was pulled from the water. It took more time for the EMT's to get him breathing again. At the hospital, he was diagnosed as brain dead with non-viable organs, and given only 1% chance of surviving. However, Shelley was told by the voice that he would recover if many persons came and shared the energy of their auras for 20 minutes each.